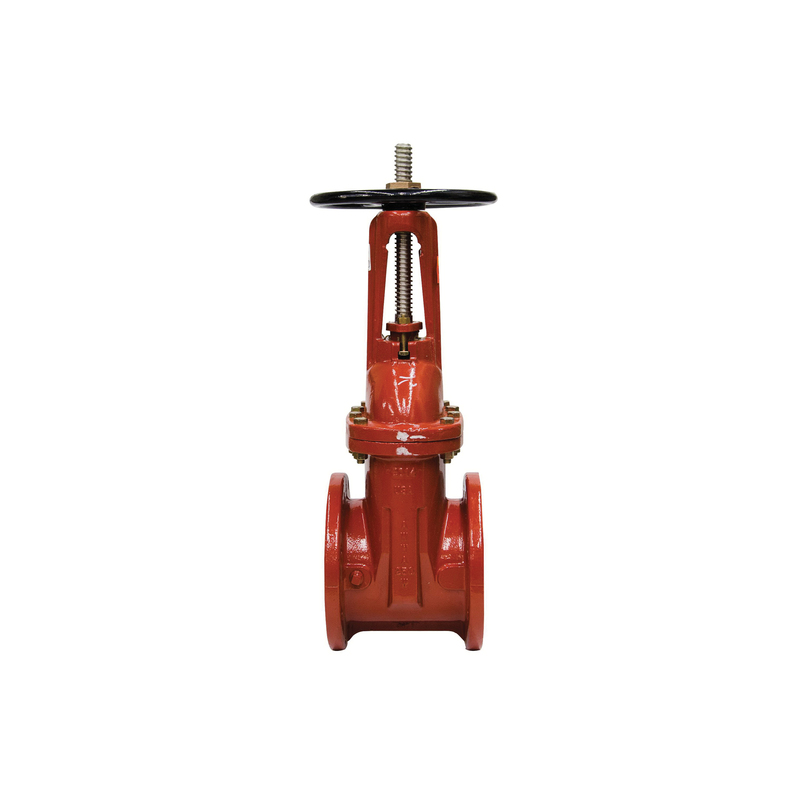 This OSY flanged gate valve, Watts 8 in model 408-OSY-RW, is used in fire protection applications in fire main shutoff applications. It features an epoxy coated cast iron body with flanged connections, resilient wedge disc, and cast iron handwheel. It is UL/FM listed and complies with MSS-SP-70. The maximum pressure is 250 PSI (17 bar) CWP.